When one thinks back to where Colorado and the country were just a few years ago, perhaps there is reason to feel positive about where things stand. Recent numbers show the real estate market in the Centennial State is making a turn for the positive. With the news the Denver Broncos are off to the Super Bowl, this will add to giddy feelings around the state. According to the Colorado Division of Housing, foreclosure filings were down 55 percent in Colorado metro counties during October, down to the lowest level recorded in any month since the Division of Housing began collecting monthly totals in 2007. The report released in October, by the Colorado Division of Housing, foreclosure auction sales in the metro counties were down 69 percent in October compared to the same time in 2012. In that time, the numbers dropped from 1,399 to 438, and foreclosure fillings dropped from 1,880 to 843. The first 10 months of 2013 tell much the same story as October. For that time, foreclosure filings were down 47 percent, and auction sales were down 42 percent from 2012. Foreclosure filings are the first step in the foreclosure process. Foreclosure auction sales totals are the total number of foreclosures that have been sold at auction at the end of the foreclosure process, according to Colorado Division of Housing. “Foreclosure activity is quickly moving toward what we consider to be a ‘normal rate,’ Ryan McMaken, an economist for the Colorado Division of Housing told the website. When you compare the first 10 months of 2013 with 2012, according to the Colorado Division of Housing, the counties with the largest drops in foreclosure fillings were Douglas, Boulder, Broomfield and Arapahoe. Those four counties all reported drops of 50 percent or more. With these trends, it makes the overall market stronger, which makes it easier to sell your home and get the most you can from the sale. Another way to improve the money you see is to use a resource like www.homevestors.com. All counties surveyed by the Colorado Division of Housing reported declines for the first 10 months. The smallest decline the Colorado Division of Housing saw was in Pueblo County with foreclosure filings down to 31 percent. As with the filing numbers, foreclosure auction sales during that same 10-month period in 2013 decreased for all counties surveyed compared to last year. 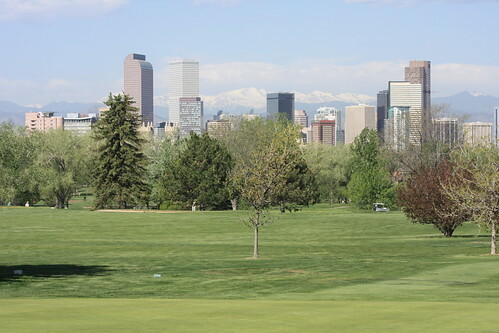 As the Colorado Division of Hosing shows, the counties with the largest decreases in foreclosure auction sales compared to last year were Denver and Adams where auction sales dropped by 51 percent and 49 percent, respectively. Again, as was the case with foreclosure filings, the smallest decrease for foreclosure auction sales was Pueblo County with 27 percent. The Colorado Division of Housing said the county with highest rate of foreclosure filings during the month of October was Mesa County with a rate of 846 households per foreclosure sale. Pueblo County was second with 1,355 households per foreclosure sale. The website adds that the lowest rate was found in Boulder County where there were a total of 10,273 households per foreclosure sale. The hope among all Coloradans is the trend continues through 2014, and it’s something people don’t have to fret about. About the author: Ian St. Clair is an award-winning writer who has close to 10 years of newspaper experience. He’s written about everything from the Denver Broncos and college football to community theater and romance novels. He's now at We Buy Ugly Houses Colorado. You can find him at Google-Plus.